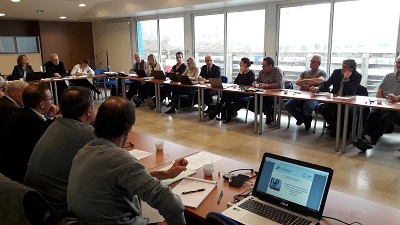 Following agreement reached at the AAC General Assembly last March, all AAC working groups will gather jointly twice a year, within the Commission’s thematic hubs. The AAC Culture and Tourism, as well as the Transport working groups, will meet on Monday 19 June. The afternoon will be dedicated to the ‘Accessibility and Attractiveness’ hub. The AAC Marine Renewable Energy, Innovation and Fisheries working groups will gather on Tuesday, 20 June within the new hub relating to maritime affairs. The AAC Atlantic Strategy working group as well as the Brexit and the Transatlantic Task Forces will have their meeting on the afternoon of Tuesday, 20 June. The Atlantic Strategy and Task Forces will also focus on the mid-term review of the Atlantic Strategy Action Plan, the development of its international dimension and the AAC position on Brexit. This new way of working is meant to be more strategic. Working groups will meet each semester, before the AAC General Assembly and the plenary session of the AAC which are key dates to assess their progresses.